Alfred Nobel was born in Sweden in 1833 to a family that went from rags to riches, went bankrupt, and then went from rags to riches again. He became one of the richest men in Europe in his time. How? He invented dynamite. His work focused on the use of explosives in the construction and mining industries, but he knew firsthand the human slaughter his invention could cause. Aviolent explosion in 1864 leveled one of his plants inGermany. Another explosion in 1866 destroyed one of his laboratories and, worse, killed his brother. Nobel also saw his invention used for military purposes. The advances he made in explosives gave rise to themodern munitions industry and created a frightening new potential for wide-scale carnage on the battlefield. Although he became a wealthy industrialist, Nobel wasa lifelong bachelor and had no children. He saw the opportunity to make amends, perhaps, for the destructive force of his invention when it came time to draft his last will and testament. The Nobel Prizes were established in a single, handwritten paragraph embedded in thatwill. He composed it himself. It directed his executors to hold his estate in perpetuity, and to divide the interest generated from the estate into five annual prizes, for physics, chemistry, medicine, literature and peace. The paragraph contained fewer words than the first few paragraphs in this article. How powerful was that single, handwritten paragraph? The world is a different place because of it. His corporate empire came and went, but the Nobel Prizes became Nobel’s lasting testament. People in this world, like Nobel, want to make a mark, a legacy to say “I was here” after they have died. Charitable giving can be a highly effective way to make that mark. Citizens with more modest fortunes set up scholarships or bursaries, or establish endowment funds for the arts, or find other ways to memorialize themselves in their community. Charitable giving also provides tax relief. Capital Gains are triggered at death. Amounts previously sheltered in RRSP’s and RRIF’s are included in income. The income taxes triggered at death can be substantial. Charitable giving allows citizens to reduce those taxes in a variety of ways. First, the normal caps and limits on the charitable tax relief available to living persons are not applicable at death. Second, special capital gains rules involving the gifting of publicly traded Canadian securities and other qualified investments have become permanent fixtures as part of our tax laws and have the effect of A Lasting Gift magnifying the available tax relief by eliminating capital gains on the donated assets. Third, new and varied charitable gifting vehicles have been put in place involving insurance policies, and annuities. Finally, Canadians who want to secure those tax savings now, while they are alive to enjoy them, can consider vehicles like charitable remainder trusts. You may be in a position to have real impact in your community through charitable giving. Like Alfred Nobel, you simply have to write your paragraph. Get some good professional assistance if you want to do it right. The lesson to be drawn from this story goes beyond charitable giving. Think of your death as a golden opportunity. When you die, all of your wealth, including life insurance, temporarily pools and becomes available to change the world you leave behind. Depending on your circumstances, your death is the opportunity to make large charitable bequests. It is the opportunity to put special structures in place to save your heirs annual income taxes. It is an opportunity to help a disadvantaged niece or nephew. It is an opportunity to ensure your grandchildren or great-grandchildren will have the resources and encouragement to attain their educational dreams. You may not be able to afford those things while you are living – you are using your money. To the extent that money is power, the most powerful moment in your life is, quite arguably, the moment you draw your last breath. 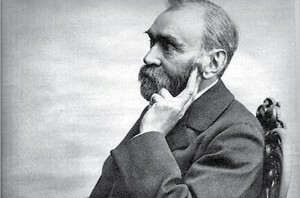 Next month’s column: Another estate planning lesson from Alfred Nobel. © John E. S. Poyser 2009. This article was current when it was written. No effort has been made to update it. It is not a replacement for legal advice.